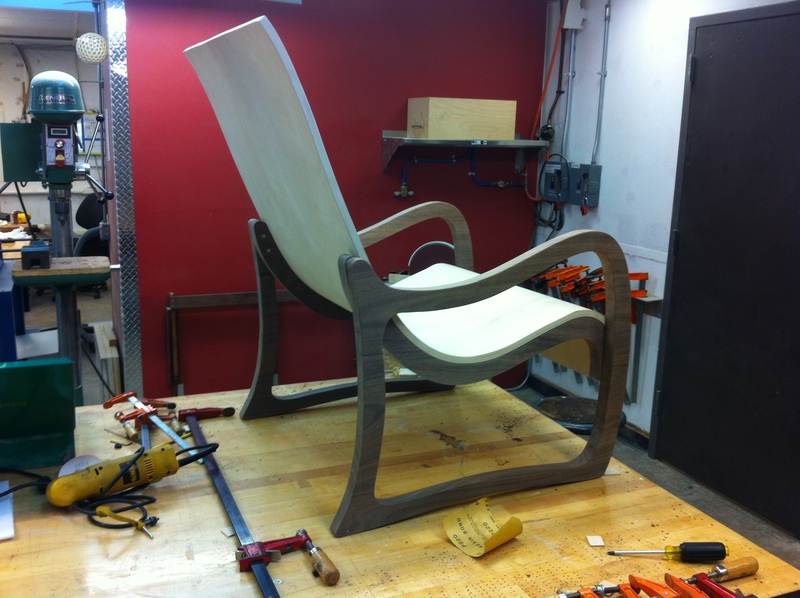 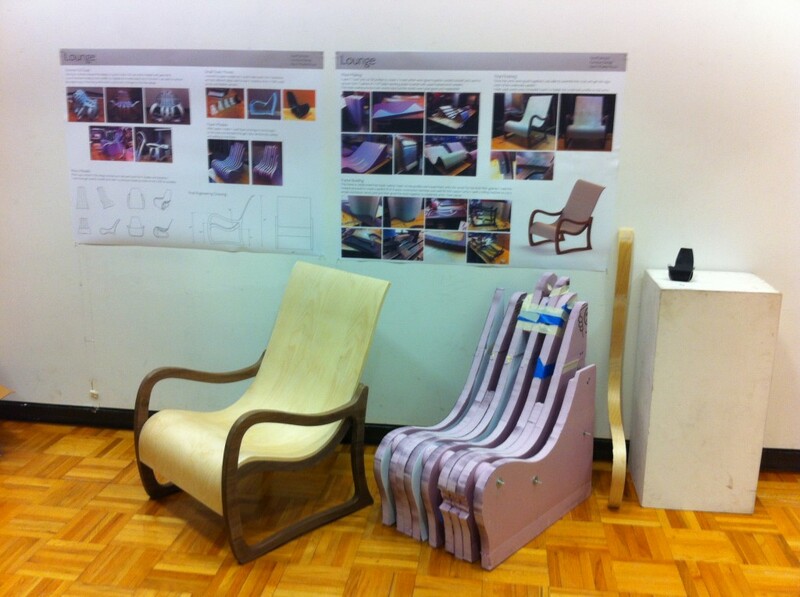 I designed and built this bent plywood and black walnut chair during my final year of graduate school. 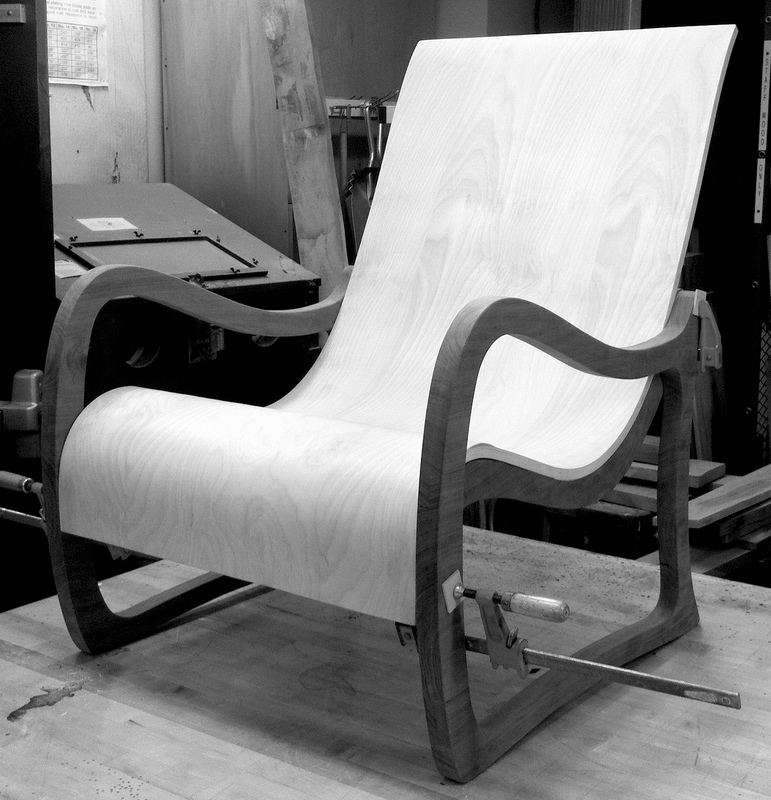 Working with wood is such an elegant challenge wherein one must constantly balance aesthetics with function and form with strength. 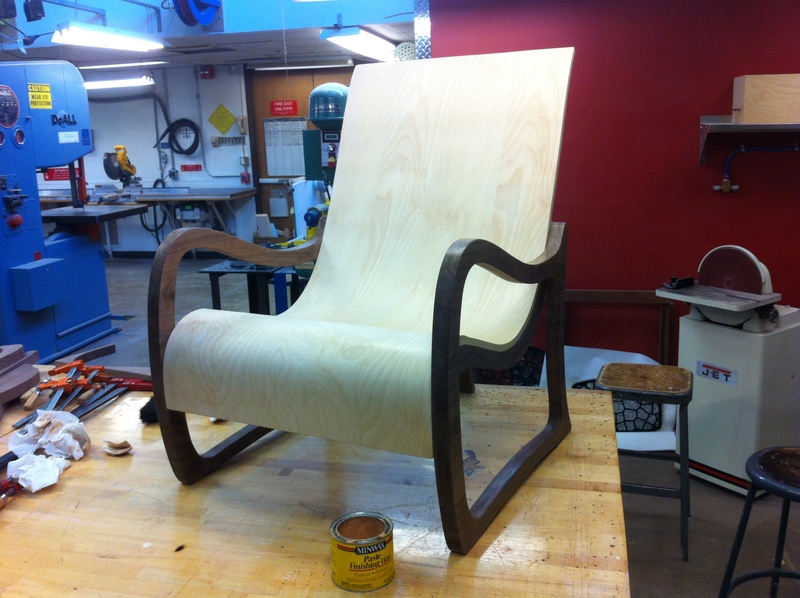 I decided on a bent plywood design because of my love for Eames; I am proud to say that the first mold was a success and yielded a result that I was pleased with. 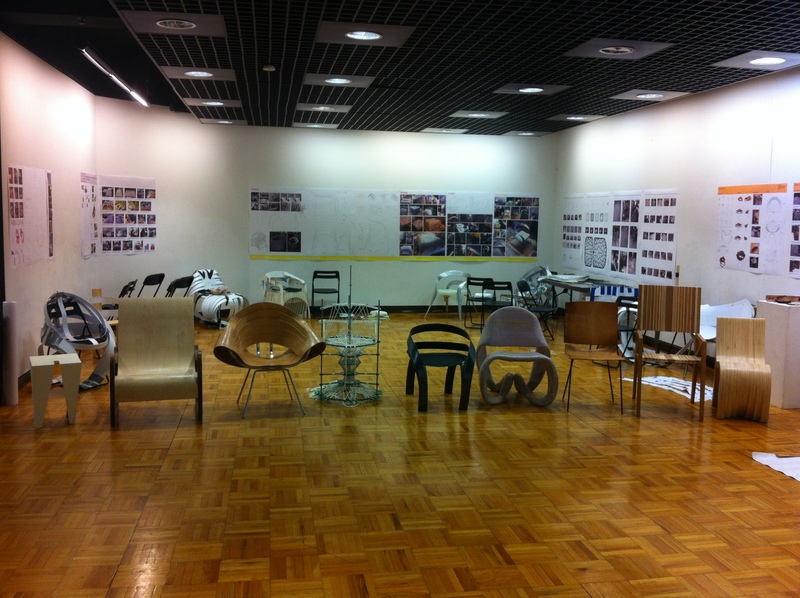 I hope someday in the future to work on another chair and carry forward the skills I gained in building the first. 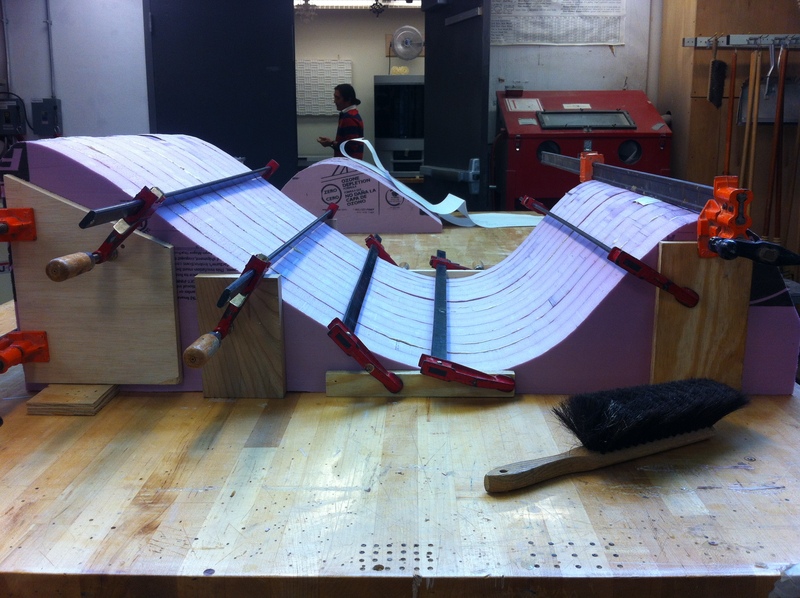 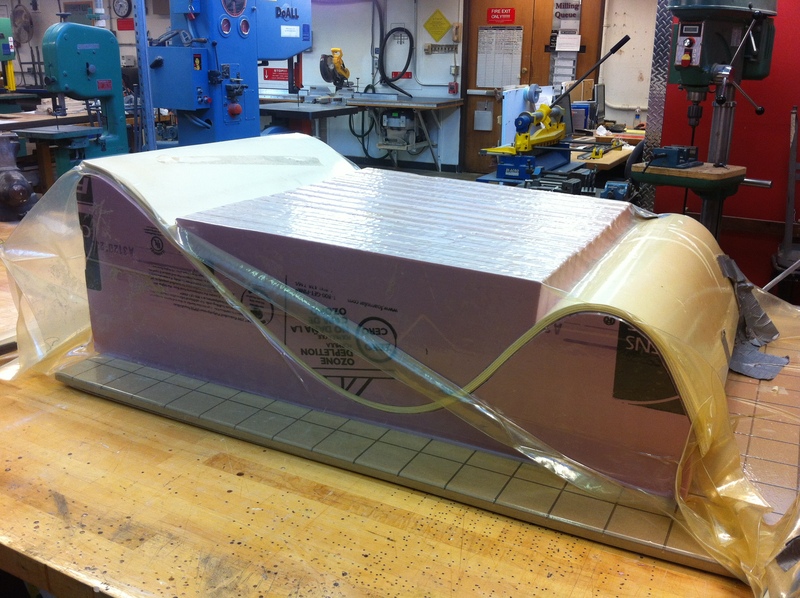 I used foam to create the mold for the bent plywood back. Thin sheets of plywood, with glue in between, in a vacuum sealed bag. 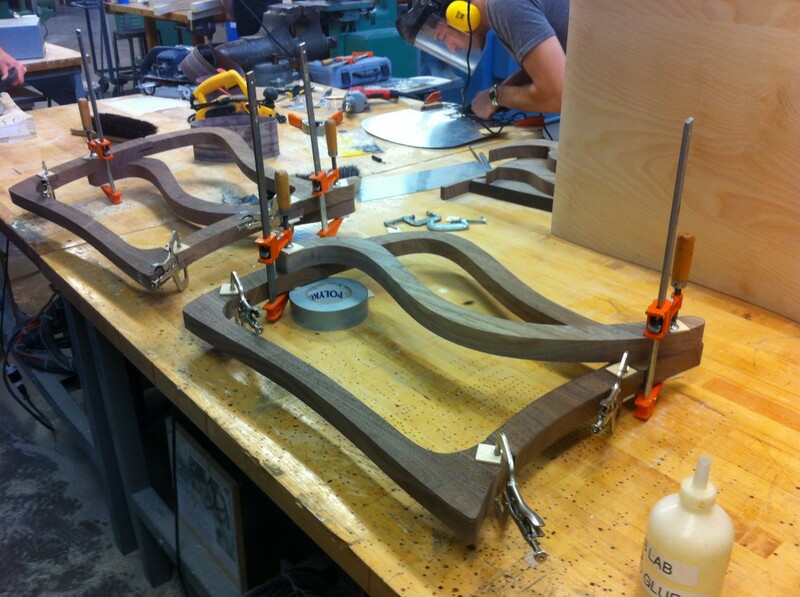 Prepping the legs for attachment of the bent plywood back.